What is that? How much does it cost? How does it work? How long have you been flying it? 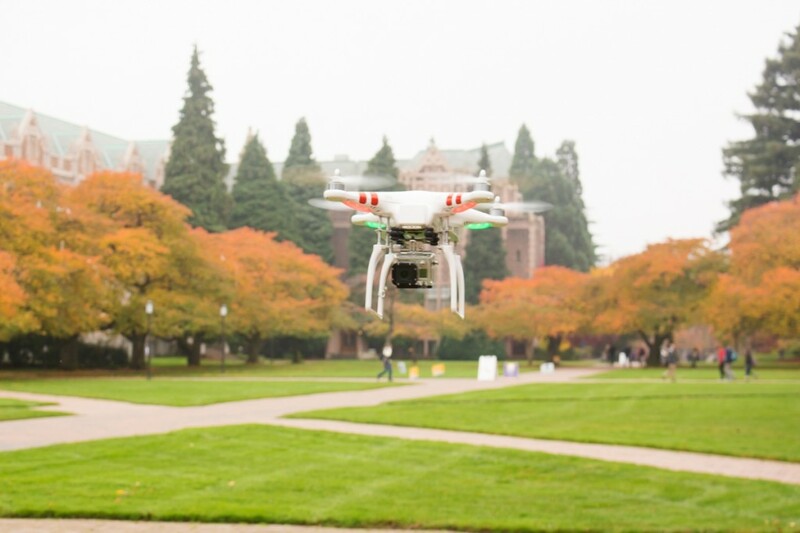 These are all common questions aimed at senior communication student Stuart Marlantes as he takes out his newest photography and videography contraption to the heights of Seattle. It’s called a multirotor aircraft and it carries a GoPro to take wide angle aerial shots of whatever is underneath. “I always love answering those questions because it’s cool seeing people enthusiastic about this technology, as opposed to afraid of it,” Marlantes said. As a fan of extreme photography and videography, Marlantes began researching what’s next for technology in the filmmaking space. He found multirotor aircrafts – one’s that have four, eight, and even 16 props to hold big cinema cameras. He decided to start small with a quadcopter and adding some parts of his own, like an anti-vibration mount that keeps the camera from shaking with the rest of the aircraft. While the cost of the aircraft, the GoPro, and the additions added up to around $1,200, he said it was well worth it and hopes to someday save up for a larger one that can hold a DSLR camera. He has taken photos for UW Student Life, The Daily, and the UW in general for occasions like ESPN GameDay, Fall Fling, and construction projects on campus. The machine can fly up to 50 mph, snapping a photo every 2 seconds with a time lapse function or a video. An indicator LED light signals battery level and the number of satellites in the area based on combinations of color and number of blinks. While many news organizations are aware of these devices, they have not yet used them efficiently and the Federal Aviation Administration (FAA) hasn’t figured out how they would like to regulate them for commercial use. Marlantes has been flying his GoPro around since last summer to heights several hundred feet, but more recently he got scuba certified and has been taking it 60 feet underwater to the depths of the Puget Sound. 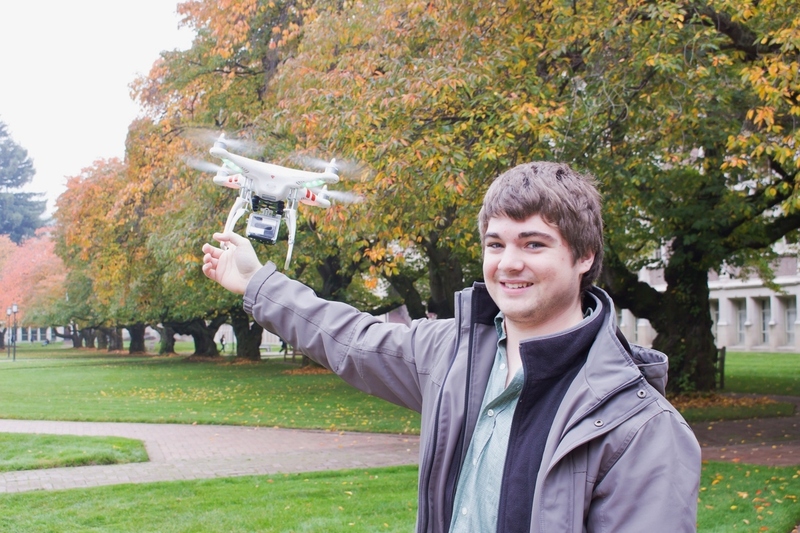 People may tell him that he needs to know what he wants to do after graduation in June, but Marlantes is content with his interest in many areas. In addition to photography and videography, Marlantes composes music, was the first official social media manager for The Daily, built a social media branch of a small marketing company from the ground up, and even used to be a radio DJ in Centralia for Live 95/KITI. “I’ve been told over the course of my life, probably since middle school, that I have a voice for radio,” he said. Marlantes said he would love to get back into radio someday or some sort of voice acting, but it is a difficult field to enter. Right now, he is keeping his options open – but you will surely see (or hear) his next creative adventure in the future.